You’re a discerning traveler with Five Star taste. And Kruger National Park happens to be the official/unofficial wildlife capital of the world. You want to go on safari, but you want to do it in style. 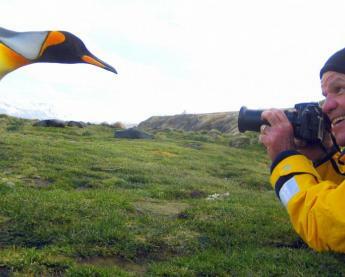 Sure, planning South Africa tours and safaris can be overwhelming, but they don’t have to be. The Adventure Life team is here to recommend a few options to help make the process a little easier. 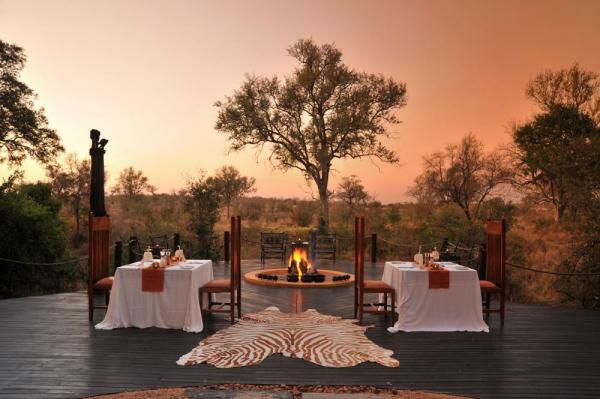 A game lodge that embodies the spirit of romance and relaxation makes this lodge a top choice for South Africa safari-goers. 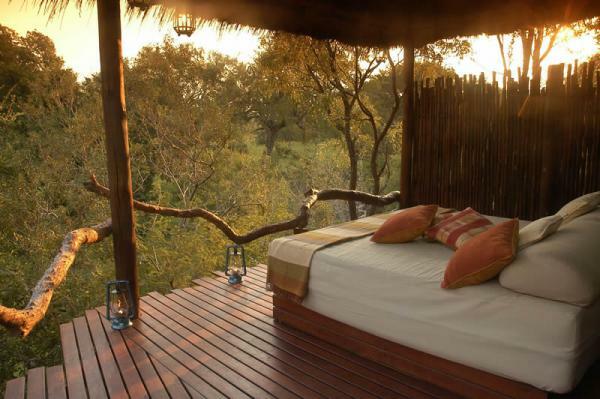 Notten’s Bush Camp is one of South Africa’s original game lodges and is privately run by the Notten family. 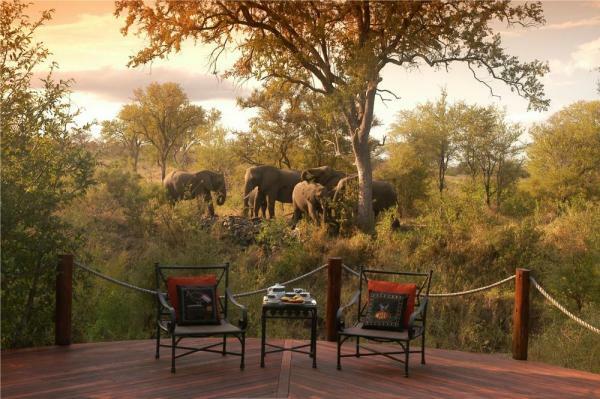 This game lodge is ideally located in the natural sanctuary of Sabi Sand Reserve and greater Kruger National Park. The Notten family has cultivated an intimate ambiance that lends to a unique, romantic setting. For instance, they have purposefully neglected to install electric lighting – instead, guests are sure to enjoy the soft glow of candlelight and lanterns that are present throughout the lodge. For those looking for some serious rest and relaxation, there is also a sparkling pool and a nature spa at Notten’s Bush Camp. Among the activities that guest will enjoy are game drives, walking safaris, and Boma dinners. A blend of traditional African culture and modern opulence makes the Hoyo-Hoyo Safari Lodge a top choice for South Africa safari-goers. 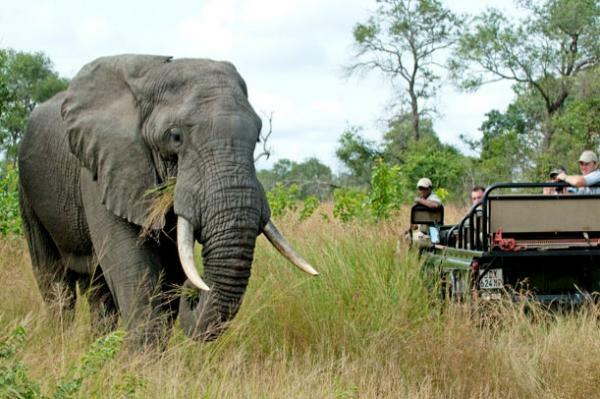 The Hoyo-Hoyo Safari Lodge is situated on an ancient elephant route on the banks of the Mluwati River. The setting is home to one of the largest groups of Tsonga people on Earth. And the lodge itself, steeped in ethnic beauty, is managed by a Tsonga Chief. There are a limited number of elegantly furnished, thatched suites (only six), making this lodge among the most exclusive in all of Africa. Activities at the Hoyo-Hoyo include bird watching and self-drives through Kruger National Park. Guests may also wish to participate in a Hoyo-Hoyo Bush Dinner. 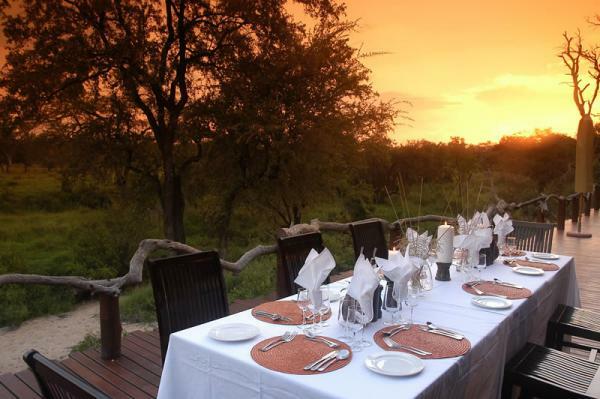 During a bush dinner, guests will have the opportunity to dine beneath the stars, in an unfenced concession area, while taking in the wild African night. 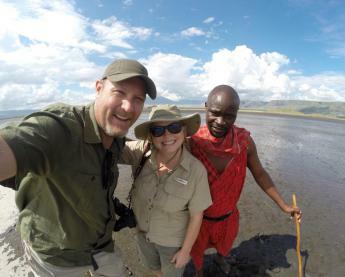 The immersive cultural experience and big game viewing are what continues to attract guests to the Hoyo-Hoyo Safari Lodge. 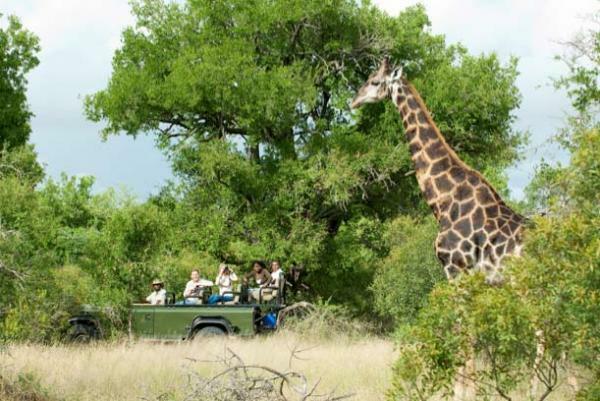 South Africa tours that include a stay in the Hoyo-Hoyo are not to be missed. Home of the largest population of wild leopards in the world makes Simbambili Game Lodge a top choice for South Africa safari-goers. 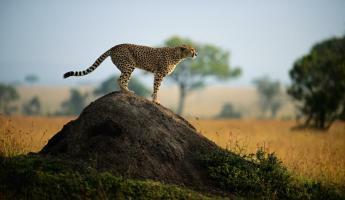 Simbambili Game Lodge is renowned for having the highest concentration of leopards of any place on Earth. And it’s no secret, big cat lovers from around the world have begun to find this incredible safari lodge that sits on the banks of the Manyeleti River. 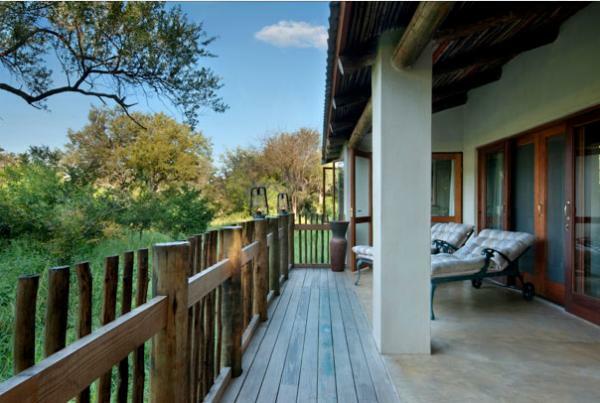 The lodge consists of 8 Moroccan-styled suites that each has a panoramic view of the grasslands and savannah. And if you’re into dinner and a show, Simbambili serves world-class cuisine in a safe and comfortable outside dining area. There are also private plunge pools for guests to enjoy, just don’t mistake your plunge pool for the water hole! 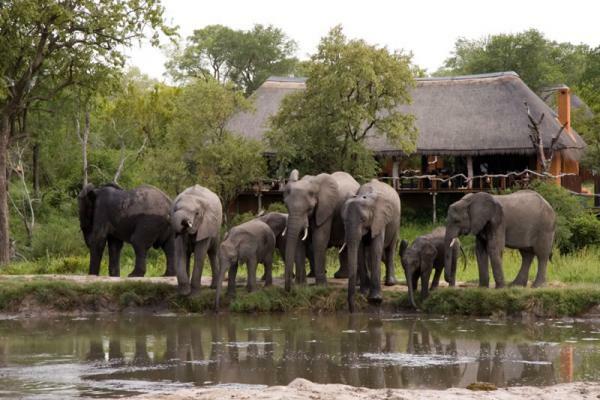 That’s right – Simbambili Game Lodge has its very own water hole that attracts Kruger’s wildlife in droves. 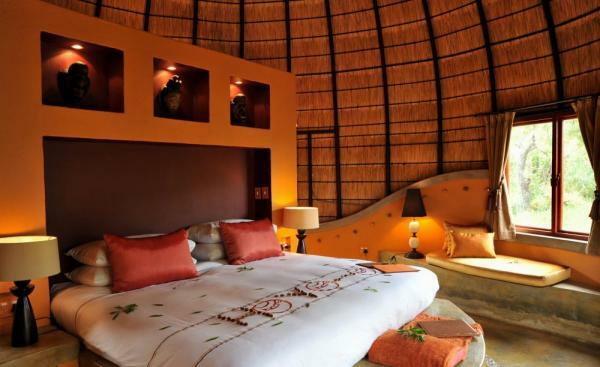 To sum it up, the Simbambili offers guests un-surpassing comfort, culture and wildlife viewing opportunities. If you have any questions about any of these fantastic, 5 star Kruger National Park Lodges, feel free to get in touch with our team. 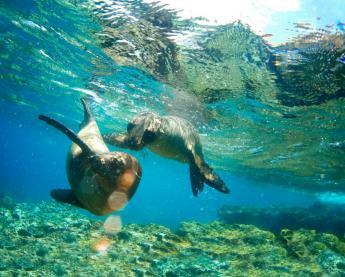 And if you’re in the process of planning your South Africa tours and safaris and need some inspiration on amazing destinations in the Rainbow Nation, then this recent post should help you on your way. 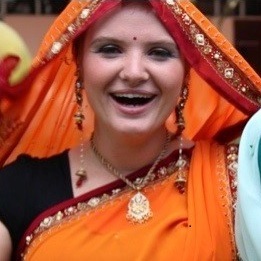 Until next time, best of luck on your quest to orchestrate the perfect safari.